Rotherham Harriers had another successful day at the 2017 event, held at Lightwater Valley, North Stainley on the 7th January. We had a total of 10 complete teams across the 10 age groups and 8 races. For the first time for a number of years, the club had an individual champion as Mya Taylor took her promising start to this season to another level with an emphatic win in the U17 women's race - and it is her first year in the age group! Joe Massingham placed 3rd in the Junior men's race, and was the only other club individual medal winner. The championships are not only about individual winners though, and the club athletes showed great team spirit and commitment to do their absolute best for the club teams. Mya Taylors individual win was backed up by a fine run from Cyane Robinson in 4th and Ellis Jackson in 20th to seal the team gold medal. The under 15 girls were out in strength, with 3 full teams. 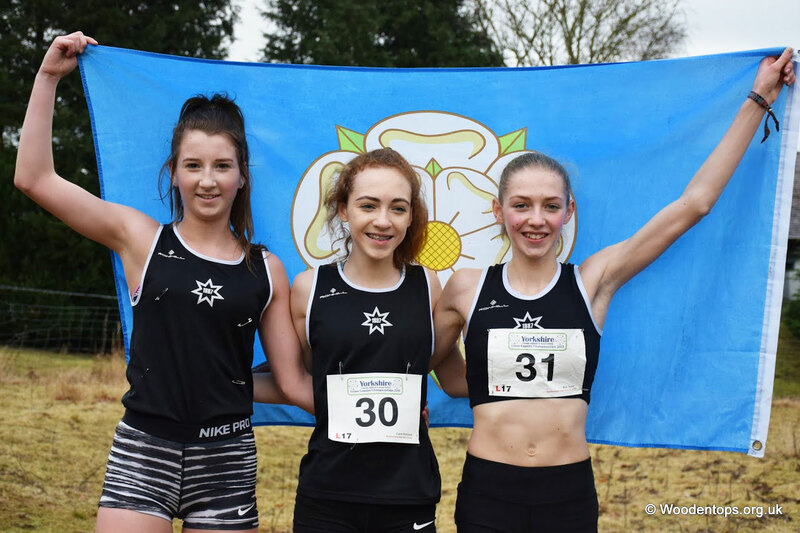 Only local rivals Hallamshire could match that turnout, and they were clear winners of the 1st team award, with The Harriers trio of Lucy Elliott, Keiva Rennocks and Leah Hayward all having good runs to finish 10 points ahead of the Ilkley team in 3rd place. The senior men's team secured a bronze team medal (to add to the silver medals they won last year) thanks to godd performances by the 6 scoring athletes. Hallamshire were clear team winners with Leeds City in 2nd place. Former Harrier Iain Whitaker, now living in Edinburgh and competing for Edinburgh AC, qualifing to run through his birth in the county, had a good run to finish 15th individual. 2018-10-20 Northern XC Relays: RH Ladies GOLD and BRONZE! 2016-04-14 Olympic athletes attend Awards Evening.